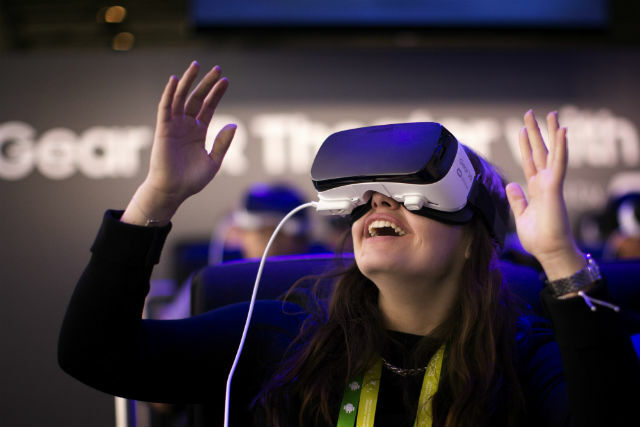 These days virtual reality (VR) is an emerging technology. With this technology, we can enter another reality by wearing devices that cover our eyes and ears to deliver sights and sounds that make it seem that we are in a different setting or another world. It is designed for our enjoyment in experiencing an amazing sense of being in an environment that is more pleasing or more challenging. While some use in gaming, the concept is that of being in a place other than the world in which we live, another reality. What is the desire within us to be transplanted into another reality? On one hand, some would call it escapism, others might view this desire as a continuing dissatisfaction with the status quo or with life as this world provides it. At the core of our beings we long for a world we don’t see today. And so it is that in the depth of our being, we long for the world for which we were made. We know intuitively that life in this world is not as it should be. If we were called by name and declared to belong to God, our longing is to be with him. The Scriptures inform us that Jesus died, rose from the grave and ascended into heaven. He has gone ahead of us to prepare a place for us so that where he is, we may be there with him as well. (John 14:2-3) Our longing is to be with him for eternity. From time to time we as believers find ourselves in places, without the assistance of VR, when we feel connected with Jesus and our place in eternity. We have a window, it seems, into the halls of heaven and into the place of quiet rest. Jesus invited his disciples to come away with him to a place of quiet so that they could get some rest. (Matt 6:31) These are times when we can actually sense the Presence and feel very connected with our Lord. For me, it happens in the grand cathedrals of Europe as I sit and marvel at how the centuries-old architecture and artistry focus my attention on God, the creation, and the stories God has used to help us see him more clearly. It happens in my own church in the moment of participating in communion. It happens when I’m doing the work I was made to do. It happens when I speak with others about the hope we have of spending eternity with Christ in the new heaven and new earth. As I read the words of King David in the Psalms, I can envision Christ leading me beside the still waters in green pastures, restoring my soul. How about you? Are you longing for that view into the world for which you were made? 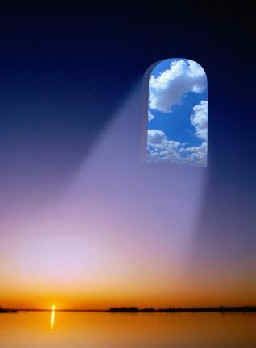 What are your windows into eternity? These windows require no special technology or rose colored glasses. Christ invites you to connect with him. He told us, “Come to me, all who labor and are burdened, and I will give you rest … learn from me, for I am gentle and humble in heart and you will find rest for your souls.” Matthew 11:28) This rest will come as you place your faith and trust in Christ. He will give you that view into eternity with him. He wants you to have the peace and confidence of the hope he has planted in each one of us. Join me … and then share that hope with someone else! Help them see the truth of the desires of their hearts as Christ has shared with us in the Scriptures.